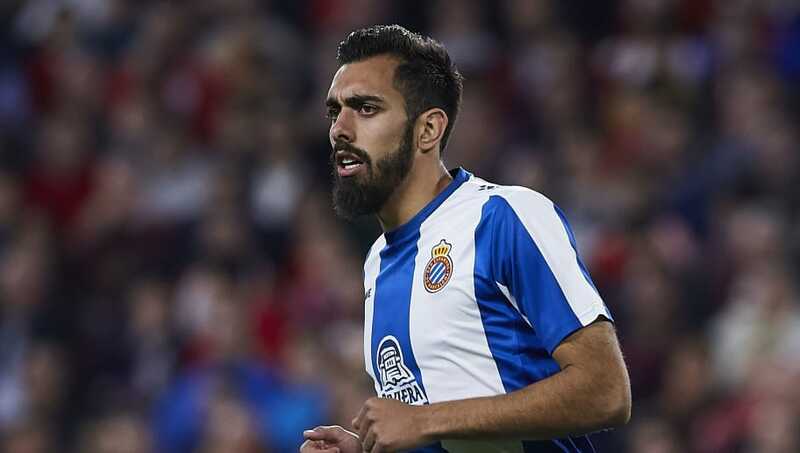 Espanyol striker Borja Iglesias has rejected an approach from Everton, telling the Toffees that he has no intention of leaving the Catalan side in January. Iglesias has scored nine goals in 19 La Liga appearances for Espanyol this season since joining from Celta Vigo in the summer, putting his new side in contention for Europa League qualification. ​Marca claims that ​Everton declared their interest in Iglesias and were ready to pay his €28m release clause before he put his foot down and told them that he had no interest in leaving Espanyol. Everton have mainly used ​Richarlison as their first choice striker this season, but the Brazilian is not a centre forward by trade and Marco Silva wants to add a target man to his squad. Everton's only out-and-out strikers are Cenk Tosun, Dominic Calvert-Lewin and Oumar Niasse, who have scored just six Premier League goals between them this season. Espanyol took a risk on Iglesias when they signed him for €10m last summer. He was prolific for Celta Vigo's B team but had only ever played eleven minutes of top flight football. He spent the 2017/18 season on loan at second division Zaragoza, scoring 22 goals in 39 appearances as they finished third but lost in the play-off semi-finals. Espanyol will be relieved that Iglesias has chosen to stay at the RCDE Stadium, as they need him to help reverse a terrible run of form which has seen them lose seven of their last eight league games to slip from second to 10th. They are only two points off seventh though, so European qualification is not beyond them if they can turn their form around.